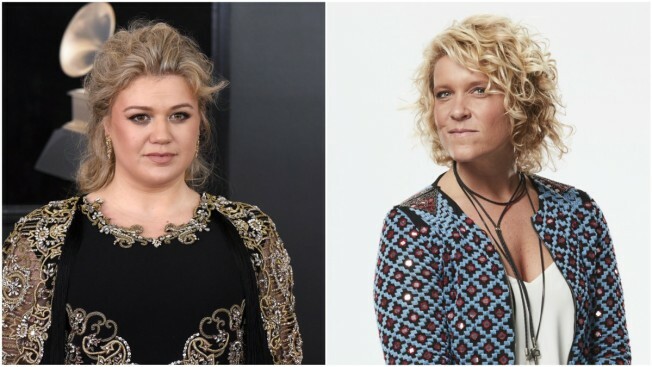 Kelly Clarkson (left) defended herself against accusations levied by Voice contestant Molly Stevens. Kelly Clarkson was stunned earlier this week after being called “small-minded” by an eliminated contestant from "The Voice." The dig was prompted because Clarkson compared the aspiring gay singer to two other gay artists. “I am a singer songwriter who happens to be gay,” Molly Stevens, the eliminated contestant, said in a since-deleted Instagram post. Stevens expressed her distaste about Clarkson comparing her to the Indigo Girls and Melissa Etheridge following the battle rounds. Stevens called it a “labeling trap” among other terms. A fan took a screenshot the post before it was taken down, prompting a response from the "I Don't Think About You" singer. But Clarkson defended her thinking in a subsequent tweet, saying how bummed out this made her and noting that Stevens failed to mention that she also mentioned Patty Griffin, a straight artist. Stevens later apologized in a tweet for the misunderstanding. I sincerely apologize for any hurt I may have caused with my words. This was not my intention at all. For the people who know me well, you know my heart well too. I strive to live in truth and light. @kelly_clarkson I truly apologize for thinking differently. I look up to you. Clarkson has not since responded to Stevens.